Millions of businesses worldwide are still operating on paper field inspection forms. Some say it’s damaging to the environment. We say it’s damaging for your business. Here’s how using mobile forms makes your business better. According to the statistics on paper costs, companies are oblivious that they can save from 10% to 30% on switching to digital. Many companies don’t even track printing costs. This leaves you with a huge amount of potential savings yet to be discovered. Do you track how much money you spend on buying paper and printing alone? You can forget about them if you switch to mobile. Then there are all sorts of hidden costs. You don’t just have to print the forms, you have to process them. It’s hard to calculate how much you are paying your employees for processing. First, your inspectors spend more time filling out the forms which translate to lower value produced over the course of the day. If you have people get the paper forms into the database manually, this must take ages to do. The same statistics we showed previously states that the average department spends about 15% of the time on printing. That’s not all time loss you get when working with paper forms. The printing hardware breaks down and needs maintenance. It doesn’t serve forever too, so you have to update it say every five years. The cost of ten or twenty printers over the course of five years may not be much, but why pay at all? Think what an average day for an inspector is. You get to the office to collect your paper forms for the day. You drive around locations filling out these forms. Then you have to find a fax machine to send the forms to the office. If the company is small, you may need to drive there to deliver the forms. Then other employees have to either catalog the forms or enter the data into the database. Imagine how much time you could save if your inspectors can just go straight to the location and do their job with a mobile form. With mobile forms, the whole company works more productively. It is true for all levels. You inspectors are not confined to the office. They can go straight to the location to review it with the mobile form. They can collect all types of data, make comments, and get the customer’s signature without being connected to Wi-Fi. 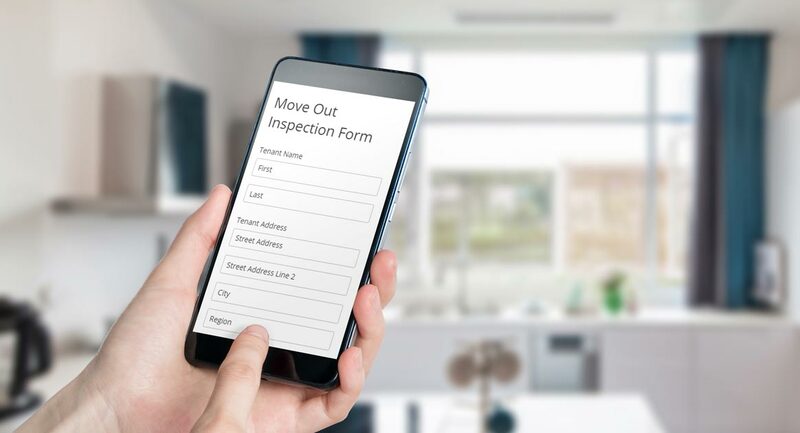 The forms will be uploaded on the cloud when the inspector connects to a Wi-Fi network. Forgetting a specific type of form at the office stops the work for a couple of hours. With mobile forms, it’s not an issue anymore. Inspectors do not spend time on manually filling out the forms anymore. This, combined with other factors, helps them work on more objects in a day. If other employees need access to a specific form, they can do it in a couple of clicks. Compiling reports is now extremely easy. Top managers have an easier time monitoring their employees and can look into any specific site inspection form if they need to. The decrease in cost and increase in productivity gives you an opportunity to issue discounts or coupons from a website like Couponbuffer.com. This increases your productivity even more, as you get more clients. Mobile forms allow you to get better data. This is true for both quantity and quality. Your inspectors will have more time when they don’t have to struggle with paper forms. This allows them to collect more data in the same amount of time. You also get more accurate data because mobile forms don’t let you send them without filling out all the necessary information. Inspectors get reminders about the fields they’re missing. This reduces human error. The sheer amount of data you can get from a mobile form can be bigger than what a paper form gives you. Take a look at this sample. It’s just one category, and you can fit a ton of those in a mobile form. You can fit the number of points that would take five sheets of paper in one list. 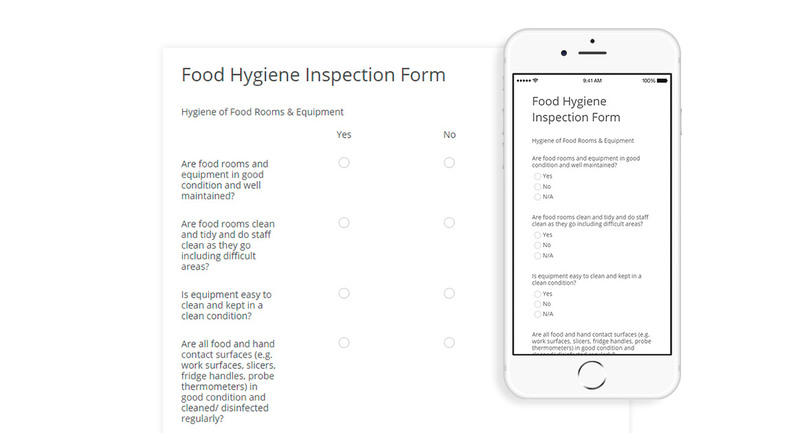 For instance, your food hygiene inspector would need to answer a couple of questions about hygiene at an establishment with just a couple of clicks. Getting a signature is also a matter of seconds, even if you don’t have a pen. When you’re done, you can upload the form in your database with one click. A move out inspection will also be a piece of cake for the inspector equipped with a laptop and a mobile form. Apart from checking the regular things about every room in the house, you can add unique options to the template. Get a free site inspection form sample and see it for yourself. Data errors become practically non-existent. Your employees don’t have to type in the data manually, it’s all downloaded to the cloud. Paper forms make a hell of a job to analyze your productivity. With mobile forms that are stored in the cloud, you can run all sorts of analysis on them. It can be anything from seeing where you could cut down costs to checking what type of object perform poorer on average. Mobile forms open a gate to the new world of analytics. The worst thing about paper forms is that it takes ages to produce a new form. With mobile forms, you can forget about this problem. Besides, with our Scan to Form tool, you can scan or take a photo of a paper form, then import it in our editor to build on it just as you would on any other web form. Is there an easier way to digitize documents and ditch paper altogether? Whenever you update the form to a better standard, all of your employees start working with the new ones. It’s done automatically. You can even give employees different variants of the same inspection form to see which performs best. This allows you to figure out the perfect form faster. 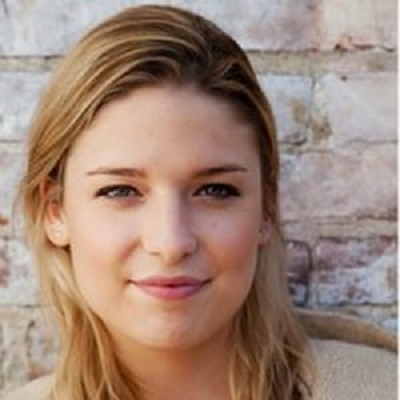 Marie Fincher is a researcher and writer with a background in marketing, technology, and business intelligence. She frequently writes about data science, BI, new marketing trends and branding strategies. Marie gradually changed her focus from working in marketing to writing about it.